MYRTLE BEACH, SC (WMBF) - Monday was the day many people have been waiting for. The reason why is because demolition began on Doug Shaw Stadium, whose home side is 50 years old. The turf is about a decade old and people say it's hard to walk up and down the stands. But those are just some of the reasons Myrtle Beach city officials are spending $6 million on upgrades. Other renovations include a new support building on the home side, a new press box, a new entryway, new Grand Stand seats and handrails and improved restroom facilities. Other work includes replacement of the field turf playing surface, resurfacing the all-weather rubberized track and installation of home-side sprint lanes. Crews have decided not to work on the visitors section because of budgeting reasons. Overall, city leaders say it's been a long time coming for the renovations to finally get out of the conversation phase. 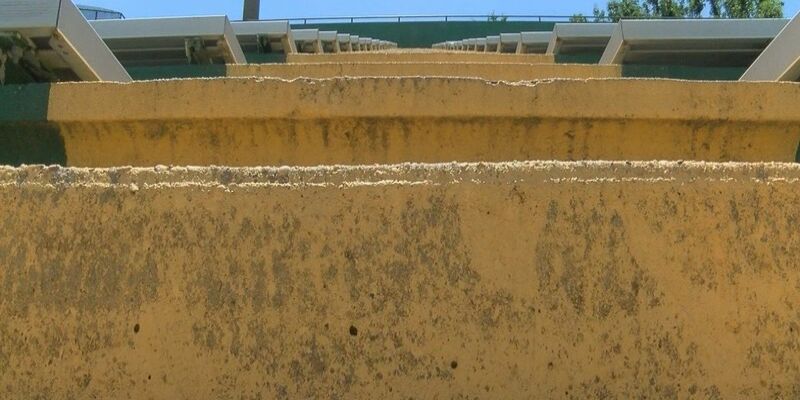 "I think the school is excited about it, certainly the student will have a better facility to play in, and the public for a long time has said they need handrails to climb up there so that will be a plus," Myrtle Beach Spokesperson Mark Kruea said. Already, two big collegiate track meets had to be canceled this year. We're talking competitions where hundreds compete here at Doug Shaw Stadium. The stadium is also home to soccer, Collegiate Woman's Lacrosse and of course football. For now, I'm told those teams will still have a place to practice while demolition and renovations are completed. City leaders say there's plenty of room at the Ashley Booth Field which is directly beside the stadium. When the renovations are done, it will have more up-to-date facilities and will allow for more regional or state championship games that will make up for the time and revenue lost. The contractor has until September 1, but city leaders want the project to be finished in time for the first Myrtle Beach Seahawks football game this fall.